Looks like a sweet little bike. A turbo would be sick up here at altitude. Suzuki Recursion Concept: Bring on the Turbo! We are still a few weeks away from the Tokyo Motor Show, which begins on November 22nd, but that hasn’t stopped Suzuki from teasing a couple of its concept models ahead of time. 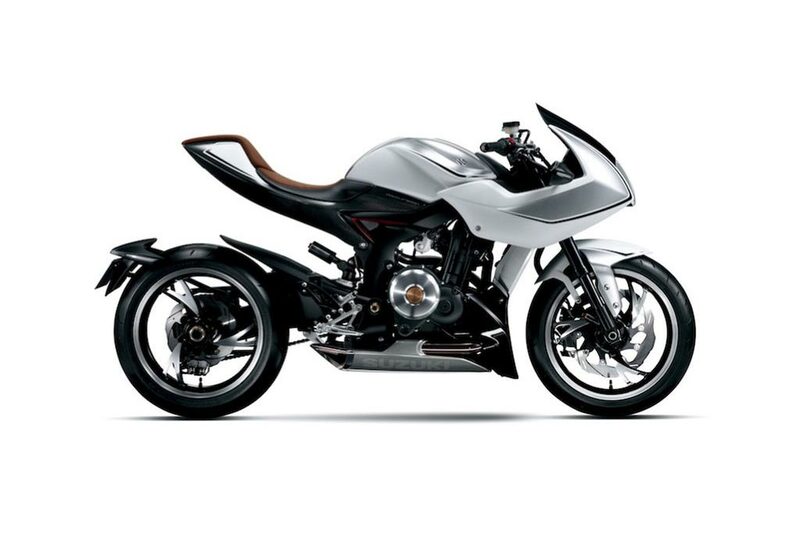 First up, we have the Suzuki Recursion concept, a striking half-faired street bike. Featuring a new 588cc water-cooled two-cylinder engine, the Recursion at first glance doesn’t seem like much, but what we really think is going to get your motor purring is the machine’s intercooled turbocharging system. Suzuki says the turbo allows for the Recursion to offer big-displacement power in a middleweight bulk, which means the Suzuki Recursion would be a powerful, yet light sport bike with superb handling characteristics. The Japanese OEM also says that the Suzuki Recursion concept boasts impressive fuel consumption figures. The idea is not a new one, and is something that can already be seen making headway in the automotive world. Able to offer more horsepower per liter, and more horsepower per physical cubic inch, forced-induction systems have become a new way for manufacturers to make lighter and more efficient vehicles — a critical undertaking as fuel prices continue to rise. While motorcycles have been more immune to the pressures of fuel prices, the ability to offer liter-bike power in a middleweight’s body is an attractive proposition that should perk the ears of any two-wheeled enthusiast. Will Suzuki build the Recursion concept as a production machine? That remains to be seen. As always, time will tell. Last edited by big_sur; October 29, 2013 at 03:00 PM..
TUUURRRRBBBOOOOOO...under 6K please make it soo..
Best part is with a turbo you can tune/play with the setup and make a lot more power on the cheap! Maybe i'm wrong, but I always imagined a turbo bike lead to a lot of high sides. It could if you use a large enough turbo with too much lag, or getting on it hard at lean. Parallel twin engine, 585cc, turbo....? Like somebody commented, why not spiff up the SV650 with it and run. Less development cost, and already a core of folks who love the bike. Turbo bikes have always been a disappointment. Show me one turbo bike that did not end up as a thud in both sales & performance. Agree that advances in technology may change future outcome, but past performance of production turbo bikes says its not going to change. True, but if they get the internals right to work with a turbo, all that can be sorted out with some external bits and tuning. Although I can't imagine it ever being a practical bike, it sure will be cool. Yeah, cause the current crop of 1000+ cc sportbikes is practical. I mean, how did people survive without 180+ hp.